A Chosid came to the Kotel to say "goodbye". His vacation was over and he was returning to America. He said, "It's not really goodbye, it's, "See you later," but still I know that I am going to miss this place." I told him, "There are one or two things you can do to bring the holiness that we have here with you wherever you go." I said, "Either right before you get on the plane, take a deep breath and hold it until you come back… or, wherever you go, try to help a Jew to do a mitzvah with joy. If you do either of these things you will bring Hashem's holiness with you wherever you go." He said, "That deep breath idea is not just a joke." He told me a story of the love that Jews who live far from the Land have for the holiness of the Land of Israel. He said that he was a guest for Shabbos and he watched his host get ready to make Kiddush Friday night (sanctify Shabbos with wine). He was surprised when the host started to open the bottle of wine and all of the children hurried and squeezed close to their father. He asked, "Why are all of the children standing so close to you?" 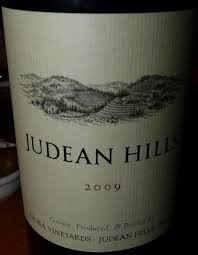 The host explained, "This bottle of wine comes from Eretz Israel (Land of Israel). It's only ¾ of the way filled with wine. The space above the wine is filled with the air of the Holy Land and the children want to breathe in at least a drop of that holiness if they can." The story brought tears to my eyes, thinking of the blessing that we have here in Israel, and seeing the loving devotion that Jews have treasured and passed onto their children even after all these years of exile. May Hashem bring all of the Jews home soon.